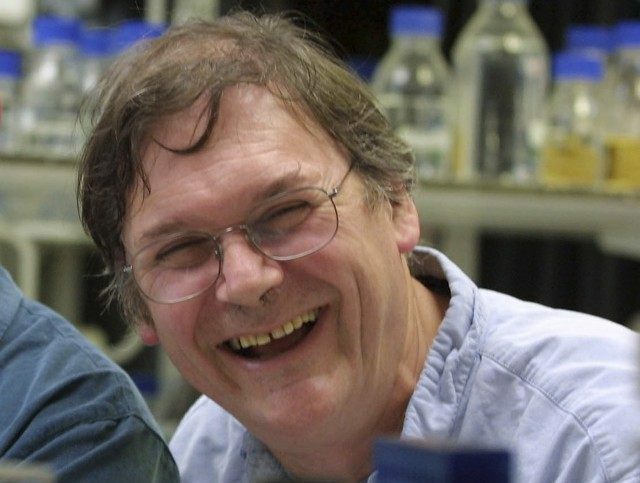 Recently we have had a dramatic illustration of the increasingly totalitarian intolerance of feminofascism and the “progressive consensus”, with the forced resignation of Sir Tim Hunt from his post as Honorary Professor of Life Sciences at University College London (UCL), his fellowship of the Royal Society and the European Research Council. When a lifetime of dedicated scientific achievement, crowned with the status of Nobel Laureate, is no protection from the Thought Police and a brilliant career is ended as punishment for a harmless joke, which of us lesser achieving citizens of the UK Gulag can feel secure? Within hours, the professional offence-takers of the Twitter rabble were on the case and the lynch mob went viral, prompting the usual knee-jerk PC capitulation from the surrender monkeys in academe, demanding Hunt’s resignation. Foolishly, instead of confronting them with the cowardice and puerility of their response, he resigned. Then, too late, he complained, “I have been hung out to dry,” claiming he had not even been asked for his side of the story. When victimised by the PC Terror, the golden rule is: never resign. Force the Stalinists to show their true colours by sacking you. The PC enforcers much prefer resignation to a sacking because it has the additional advantage of looking like a confession of guilt. The progressive consensus has become increasingly conscious of a PR problem, as it claims ever more victims. This concern was reflected in an article on l’affaire Hunt in the Guardian, by Gaby Hinsliff, headlined: “Why sack ageing (sic) sexists? Send them to rehab instead.” Some people might think that headline ageist. But this piece epitomised a technique now being employed by many feminofascists: a patronising, more-in-pity-than-in-anger tone calculated to suggest that anyone who does not buy into their demented agenda is in need of therapy rather than punishment. It reflects the ambition of the PC tyranny to progress from the firing squad phase of Stalinism to the more sophisticated political re-education camp and mental institution stage. But the Terror remains intuitively punitive. When Boris Johnson ventured to defend Sir Tim Hunt, a female Labour MP, Chi Onwurah, suggested he had “breached gender discrimination laws”. So, the mop-headed one may be subjected to the midnight knock. And why has he not resigned as Mayor of London, after uttering such heresy? The key target of feminism and of the entire PC jihad is objective truth. Hunt was telling the truth about people falling in love in the lab – he allegedly met his wife in a laboratory. Substitute for “lab” the word “office” and millions of people will identify with his remarks as reflecting real life, as innumerable romances and scandals testify. The Hunt case is just the latest instance of a recent phenomenon affecting the left. For generations the international left has identified with science: it even tried to tart up the Marxist delusion as “scientific socialism”. In its narrative of “progress”, Enlightenment scepticism, followed by Darwinian and Marxist theory, displaced “superstition” (i.e. Christianity and Aristotelian philosophy), imposed rigorously empirical criteria and created the conditions for vast material betterment in a scientific Utopia. As recently as the first decades of the contrived climate scare, global warming alarmists were invoking “science” as supportive of their cult. Admittedly, it was a very restricted kind of science, dependent on computer “models” helpfully reflective of the selective data fed into the programme. But still the worst accusation they could fling in the face of sceptics was that their views were “unscientific”. Now, however, science is being relegated to oblivion because its uncompromising truths negate PC/feminist prejudices and are “unhelpful” or, worse still, “inappropriate”. Science is inexorable, for example, in defining gender identity. When we are obliged to accept that a man retaining his male genitalia is a “woman”, at the behest of the Twitter rabble, despite the evidence of chromosomes, or that a white woman is actually a “black” activist, truth has been subordinated to political wishful thinking. When a distinguished scientist who has made a significant contribution to cancer research can be thrown on the scrap-heap to appease the morons who populate Twitter, the progress of society has been derailed by flat-earthers. That is how it has always been in totalitarian societies: scientific truth is overridden by ideological imperatives (cf. Nazi race theory). Just as “diversity” is a PC euphemism for uniformity, all PC terminology is an Orwellian Newspeak vocabulary (“Black is white, war is peace, bad is good”). However, the jettisoning of scientific realities by the progressive left is a milestone in its confection of social engineering fantasy. The left has cut its moorings and ditched the most powerful anchor that linked it to scientific plausibility. It remains to be seen whether coercion, reinforced by the scientifically illiterate Twitter mob, will suffice to sustain its fragile ideological hegemony in the years to come.